Brendan Rodgers has confirmed Joe Allen's return to training ahead of Liverpool's clash against Aston Villa on Saturday – and the manager intends to check on the condition of Mamadou Sakho over the coming days. Both players picked up injuries during Liverpool's 2-1 defeat by Chelsea at Stamford Bridge on December 29. Allen was replaced by debutant Brad Smith on the hour mark due to an abductor problem, while his French teammate, Sakho, was taken off moments before the final whistle with a hamstring issue. Rodgers faced the media at Melwood on Thursday afternoon and during the briefing, the manager was pressed on the fitness of his squad. "We've got Joe Allen back," said Rodgers. 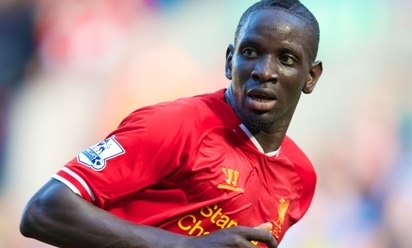 "Joe returned in training and we'll just wait and see how young Sakho is over the next day or so. "We're slowly getting our players back. Jon Flanagan and Jose Enrique are still out but we're looking better." Daniel Sturridge is one injured star who has made a return to the side in recent weeks. The striker was introduced into the game against Stoke City last weekend with Liverpool holding a slender 3-2 lead at the Britannia Stadium. He made an instant impact, driving forward to pick out Luis Suarez, who whipped a strike past Jack Butland for 4-2, before Sturridge added a well-taken effgort of his own late on to seal a 5-3 win. Rodgers had nothing but praise for the England international, who returned with a flourish following seven weeks sidelined due to an ankle problem. "My opinion on Daniel has only been reinforced through the time that I have worked with him," said Rodgers. "Overall I think he's got a wonderful opportunity over the next couple of years of being world-class. "He has every tool, he has every quality to be a world-class striker, similar to what Luis Suarez is. If we get him onto the field on a regular basis, if he gets a bit of luck and stays clear of injury, then he can be [world-class] for sure. "This period out with injury has refreshed him mentally. He comes back in the second part of the season now in a real good moment. I think it really signified how hard he worked in his injury period when he came into the game at the weekend. "He made an immediate impact, physically he looked very strong and mobile and fast in his reactions. That's a great credit to him and how focused he's been on getting back."